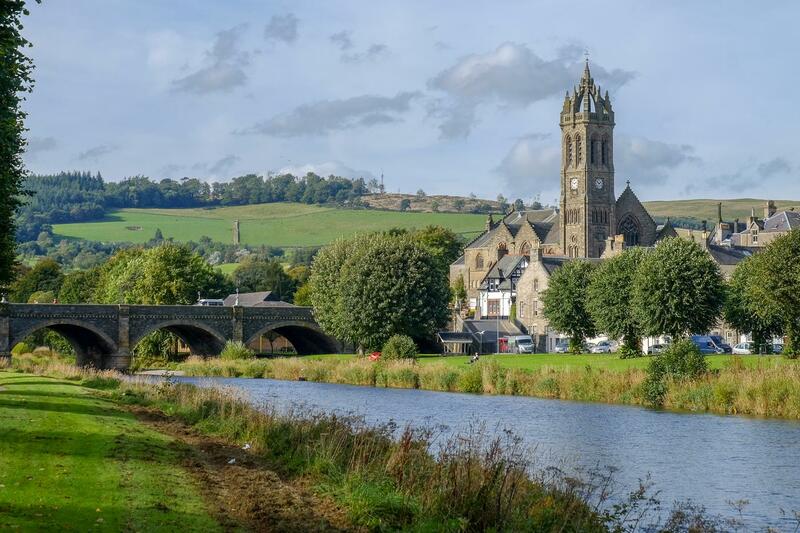 Situated on the banks of the beautiful, meandering River Tweed, surrounded by gently rolling hills and just a 30-minute drive south of Scotland’s capital city, it is no surprise that the town of Peebles is a popular tourist destination. On most weekends year-round – and on holiday week days – the High Street throngs with both locals and visitors popping in and out of an array of independent shops, delis, cafes, pubs and restaurants. If you like a sweet treat, Cocoa Black, run by the award-winning chocolatier Ruth Hinks, on Cuddybridge, at the start of the Old Town is enticing, even if it’s simply to drink in the aroma of chocolate. However, I would recommend you purchase something delicious and wrapped in pretty packaging. Just around the corner on the High Street you’ll discover another shop dedicated to selling an impressive range of sweets, Sugar Mountain. Sadly, another that was much visited during my school years in Peebles, The Sweet Shop, has recently closed. I can’t think about this small but colourful shop without retelling the story of my mother, who when we first moved from England to Scotland in the 1980s was dispatched by me from my sick bed to buy a quarter of hard-boiled Soor Plooms. It was with hilarity that she later told me she had anglicised the words and asked for a small bag of Sour Plums. You can only imagine how many times that story has tickled our family over the decades – and, no doubt, the owners of the shop. It’s sad to think it has closed its doors, reportedly because of retirement. There is a fine selection of homemade ice-cream served by Caldwells, based in the nearby smaller town of Innerleithen but with a perfectly positioned shop in the centre of Peebles. They won Best Borders Business 2017 based on public votes and mystery shopper tests at last year’s Borders Retail Business Awards. A traditional family bakers, Forsyths of Peebles, is another former childhood haunt and today it still sells one of my favourite snacks, a Fly Cemetery, otherwise known as a Scottish Fruit Slice. Forsyths owns a popular butchers next door. Living in Peebles as a teenager, I barely registered the abundance of sweet things for sale on only a few streets in one small town. Today, I prefer to enjoy my chosen sweets or cakes – and then balance them with an activity that burns off the calories. Fortunately, there is no shortage of options for a high-energy outdoors outing in and around the town. For as well as the shoppers on the streets, you will see many people dressed for adventure, from Tweed plus-fours to cycling Lycra and in between, golfing knitwear, walking boots and Gore-Tex jackets. 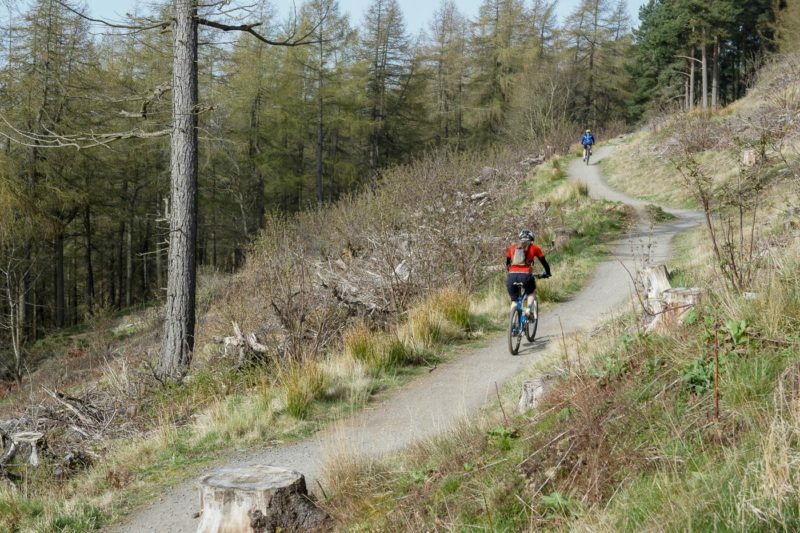 Peebles is only a few miles east on the A72 from the world-acclaimed mountain biking trail centre Glentress, which is part of the wider 7stanes MTB’ing network that spreads cross the Borders. A separate traffic-free route allows cyclists to access Glentress from Peebles. Glentress is also home to waymarked walking trails and a Go Ape aerial adventure park. Brace yourself for a dizzyingly high – and long – zip ride at the end of the Go Ape course. The outdoors festival TweedLove takes place in May and offers a large programme of events and races for mountain biking amateurs and experts alike. If road cycling is more your thing, there are plenty of quieter roads around Peebles to explore. One of my favourites is the route that heads south to St Mary’s Loch. Joining the peaceful B709 from Innerleithen, the road undulates through delightful countryside, growing ever more remote, to reach the shore of the stunning loch set against a picture-postcard backdrop of hills and forestry. This is the typical panorama that springs to mind when I think of the Borders. In September, a Tour o’ The Borders cycle sportive invites hundreds of riders to join a mass participation ride of 56 or 74 miles. 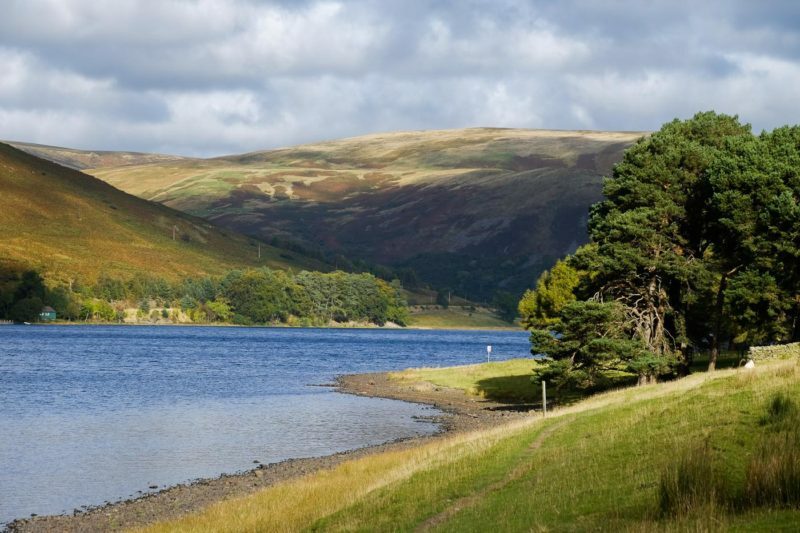 The event passes St Mary’s Loch, as well as the pretty waters of Megget and Talla reservoirs, and takes place on closed roads so you can relax, enjoy the scenery and chat with fellow cyclists without worries about the traffic. Later the same month, the Peebles Sprint Triathlon includes a road cycling section after a short swim in the town’s indoor pool and then a running route along both banks of the Tweed. For those with a hankering for an off-road adventure, the Mighty Deerstalker, billed as Scotland’s original obstacle race, is a must-do and takes place at night close to historic Traquair House at the small settlement of Traquair, seven miles from Peebles, around spring-time. Traquair House, which is claimed as Scotland’s oldest inhabited house, is open to the public and is also home to lovely garden grounds, a maze and beneath the chapel, a brewery that it famous for its rich, dark ales. A relatively new event, Beyond Borders International Festival has taken place for around six years each August and is being expanded to include music and arts. Also fairly new but fast growing is the Peebles Outdoor Film Festival in January. Another major event in the town’s calendar, is Peebles Beltane Festival, which has a history dating back far further, apparently to the 15th century. Many locals, especially school children are involved in the summer festival of local legend, history and tradition. With the clean waters of the Tweed at its heart, the town is a favourite destination for anglers. Almost three miles of river across two beats, Neidpath (Crown water) and Peebles Burgh Water, provide the opportunity to fish for salmon and sea trout, especially in late summer and autumn. Borders Sport and Leisure provides exclusive fishing rights to the beats. Kailzie (silent “z”) Fishery, found on the B7062 to the south of Peebles, has a stocked trout loch, too. Nearby is Kailzie Equestrian Centre and a pretty walled garden for a peaceful wander. 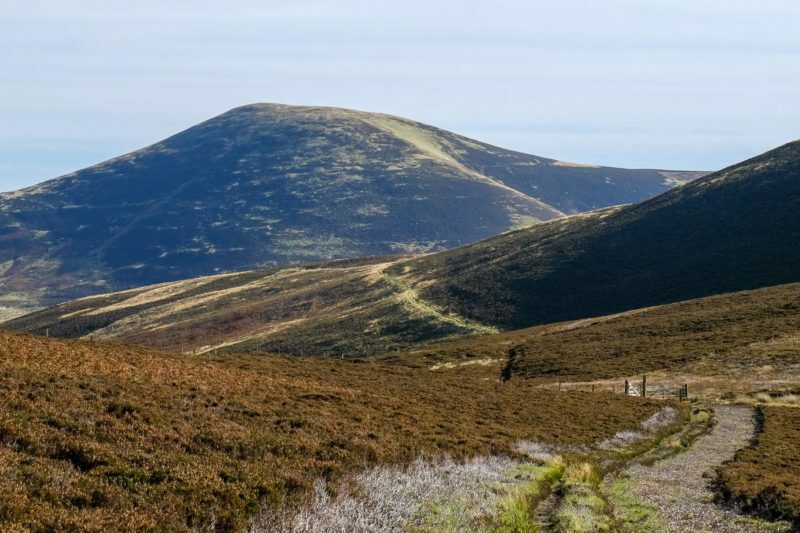 The options for walking, whether it’s a stroll or a long distance hike, are seemingly limitless in Peebles and wider Tweeddale area. Whatever your penchant, be it history, wildlife, or lofty summits, or your age and fitness levels, there is a walk to inspire. 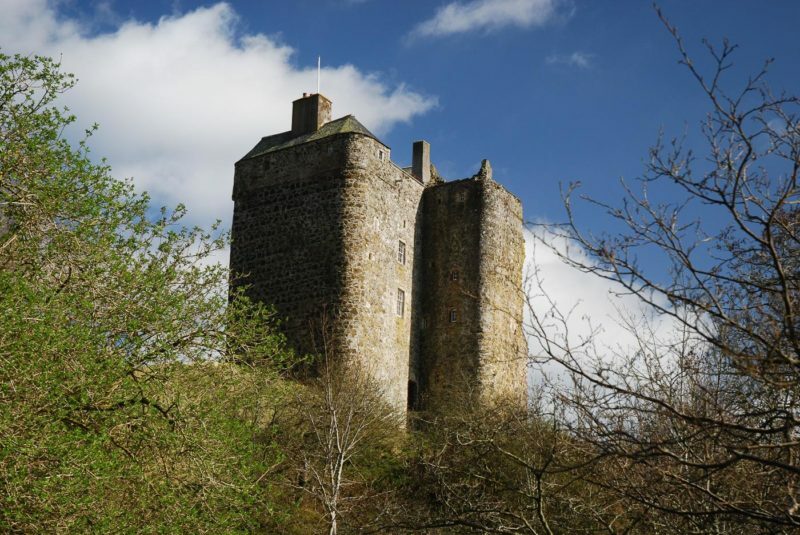 A straightforward outing from Peebles and west along the northern bank of the Tweed takes you towards Neidpath Castle, a tower house that has its roots in an early castle building founded in 1190. You can turn on your heels and return the same way or follow a circular route of some four miles to cross the old railway viaduct over the river and back along the wooded southern shores. I had not followed this walkway for many years until last summer when a beautiful summer’s evening saw me running the well-worn trail with ever-keen Wispa the Wonder Whippet by my side. The river views, wider vistas from the foot of the castle and the vivid summer colours lifted my spirits after a busy work day. Isn’t it strange how you appreciate the easy accessibility to nature and the countryside when you’re a grown-up but see it as stultifying as a teenager who yearns for more urban attractions? Following the route of an old train line, The Tweed Railway Path links Peebles with Innerleithen and follows a route through the delightful scenery of the Upper Tweed valley, which on a still day is stunningly reflected in the waters of the river. The five-mile path can be walked or cycled and passes through Cardrona, once a village of a few homes and now a surprisingly large settlement of many new build houses and a large hotel. Thanks to the location, less than 25 miles from Edinburgh, Peebles and the nearby towns and villages have become major commuter settlements. In decades past, it was the woollen industry that offered jobs to thousands of locals. 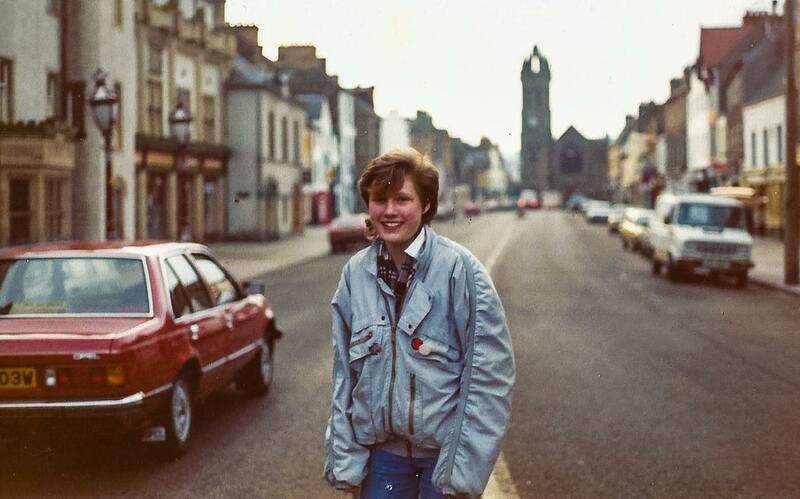 In fact, this was how I came to be at school in Peebles after my father moved the family from the south of England to work for a large woollen company. Most of the mills have now closed although the last one in Peebles remained open until 2015. Peebles was once also renowned for health tourism in the later decades of the 19th century. Peebles Hotel Hydropathic, which opened in 1881, was one of a number of spas and hydropathic establishments in Scotland. The Peebles Hydro Hotel is one of the few survivors of that era and is a popular destination for visitors staying a few days in the town. Further history, in the name of the Scottish writer John Buchan (1875 to 1940), is evoked on another linear walk, the 13-mile John Buchan Way between Peebles and the Tweeddale village of Broughton. John Buchan, or Lord Tweedsmuir, is well known by many for penning novels such as The Thirty Nine Steps and Greenmantle. I recently enjoyed the walk, on relatively low trails and paths, from Broughton to Peebles with two friends and Wispa on a day of mixed autumn weather. When the sun came out we were treated to superb vistas over farmland, moors and hill summits, with the added attraction of the season’s vibrant palette of oranges, ochre, browns and yellows. If you like your walks on the wilder and usually windier side there are many to choose from. Although the hills in this part of the Borders are less statuesque when compared to the majestic Munros of the Highlands, they do nonetheless allow the walkers to enjoy getting away from the hustle and bustle of the town. Windlestraw Law circuit takes in a summit listed as Graham, between 2000ft and 2500ft. 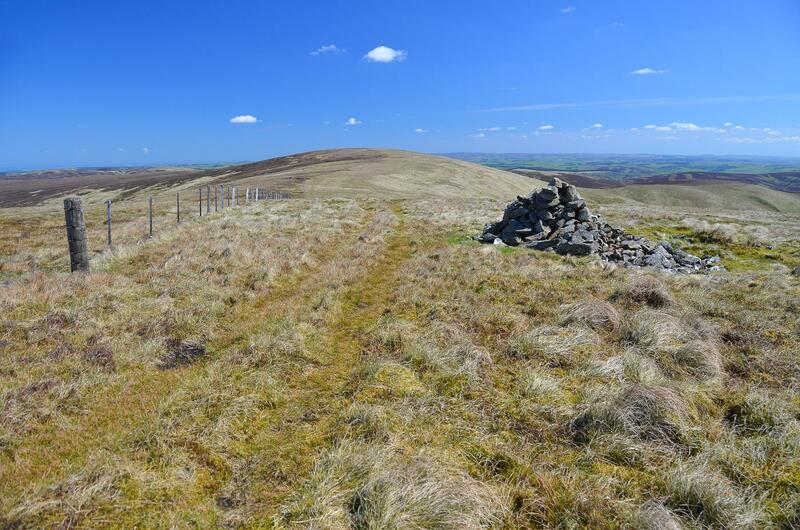 Meanwhile, a hike that starts from Megget Reservoir includes Broad Law, a Corbett and the second highest hill in Southern Scotland, as well as two Donalds, Cramalt Craig and Dollar Law. Dun Rig Horseshoe, from Glen Road in Peebles, is another rewarding day’s walk. At almost 15 miles and with four summits of Donald height or taller, this is an energetic outing. I can’t remember who I walked this route with in my distant early 20s but I believe it was a day of hot sunshine and fabulous views, or perhaps I am now looking back with rose-tinted specs. I believe the slogan for the town is “Peebles for Pleasure” and over many decades of returning to my home town I can see why. It is well positioned close to the central belt of Scotland yet still surrounded by unspoilt and easily accessible countryside. These attractions have brought many of my school friends back to live in the town and to raise their own children.